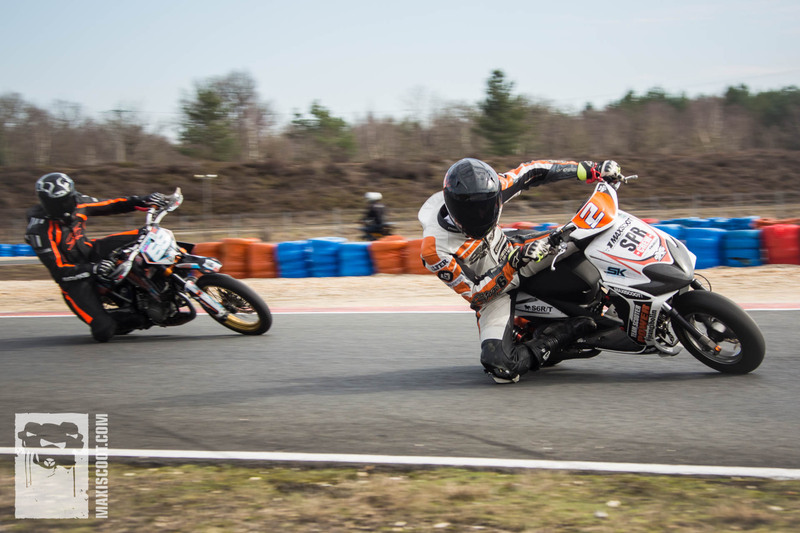 On Sunday, March 12 2017, Team ScooterPower, supported by Team Maxiscoot, launched the upcoming race season 2017 and welcomed race and drag race fans and pilots at the traditional Open Day for free test runs in Salbris, France. Like every year, the event took place on the International Karting Track Salbris. The sun was shining and attracted many riders who came to Salbris to test their engine set-ups and, if necessary, readjust settings so they will be able to start the official drag racing season with an optimum motor set-up. It’s springtime (finally!) so this means that ambitious dragster pilots should be on their way to test and adjust their engines, and there’s no better place to do so than during the pre-race free testing opening event. Just like every year, ScooterPower held their famous Open Day where everybody had a chance to push the limits of their race scooters. 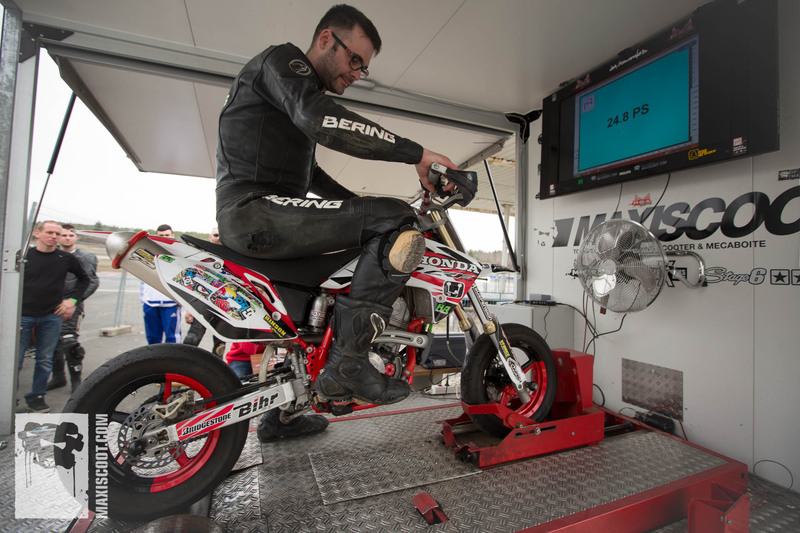 As a matter of course, Team Maxiscoot, who has been cooperating with ScooterPower for more than 10 years, showed up as well and brought their professional test bench and state-of-the-art measurement system that all riders could use for free. After the mandatory technical check (only for ScooterPower members who had the opportunity to do the inspection for the enire 2017 drag race season) riders of all levels and classes got going and tested their 2-wheelers under optimal conditions. 2 members of the MXS Racing team also seized the opportunity to warm up and test the waters before the official season opening. Racing pilot Léa, here under team colleague Alexis’ watchful eyes, worked on her sprint start technique and riding position. And just like every year our photographers captured the best moments. The pictures are online, so you can check if you were caught on camera, too. The Drag Challenge 2017 will continue on April, 8. and 9. with Drag Day #1. You can register online if you want to save time and money.